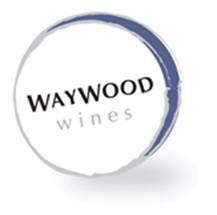 Andrew Wood from Waywood Wines contacted me via e-mail with the intention to have a look at his wines. His tone from the first moment was one of wanting feedback on his wines – not just a review that would go out to the wine public via the Lonely Grape Blog. This was certainly different for me as most tastings have been based on just getting a good review. Andrew’s background was as a Sommelier in London and then deciding to take his love of wine further by undertaking studies and working vintage in Europe. Having a Queenslander as his partner has lead Andrew to Australia – firstly in the Granite Belt and then the last 6 vintages in McLaren Vale. As you could imagine the passion for wine has also lead to a want to express himself by making his own wines – and so Waywood Wines was born. It was also very obvious that Andrew’s passion extends to wine and food matching so not surprising that the wines are made to consume with food. The wines are sold by the dozen so prices are supplied as dozen prices as advertised in the 2010 Winter Newsletter. Black & brambly fruits on the nose makes way for light blackcurrent fruit flavors with good tannins and acidity and ends in a quite dry finish. I suspect the fruit characters are fading however, there is evidence of structure. For the price this would work well in “easy drinking” occasions so maybe lets pear it up with something spicy like a lamb based tagine. I found the aromas on this wine to be closed and almost nothing there. This Willunga Cabernet was picked young and it shows with such a good level of acid. There are good black fruits here (blackcurrents & mulberries) with firm chalky tannin layers that coat the teeth. This wine needs some more time in the bottle to show it’s best. Definitely a food wine so try it with something robust to match the secondary flavors such as Turkey Lasagna. I got black fruits and hits of vanilla aromas. The flavors started with black and red fruits and straight away showed a great acid and tannin structure. There was distinct ironstone steely acid here as well. I suspect the wine is still a little tight and another 12 months in bottle will spring something even more wonderful. The wine was picked after the heatwave of the vintage so it just proves how cool Clarendon actually is. Bring on charred meats – I am cooking a BBQ tomorrow night and I wish I had a bottle of this to drink while cooking and eating. At this price I would put some of this away. I got more developed aromas here than fruit ones – some leather and spice. Interestingly, I got a hit of sweet fruits when I first put the wine in my mouth. Then I got an oak hit, then finished with some good savory fruits mixed with good acid and tannins. Another food wine that would go well with roast lamb. This Willunga Cabernet and Clarendon Shiraz was my favorite wine here. The aromas were again closed and just hid what was to come. There was some cherry and chocolate flavors so a bit cherry ripe like. The french oak kicks in with some spice (clove and fennel) that is so well balanced with the oak. Lots happening here so I would try this with a mushroom risotto with lots and lots of Parmesan cheese. A really interesting series of aromas here – the best from this wineries offering. A distinctive smell that took me some time to get a handle on – iodine. Plus black olive, cherries and black fruits that trails into some perfume and flowers. The best nose of these wines – by a long way. The wine is almost textural when you drink it – plums, red fruits matching well with the dry and chalky tannins (from the extended maceration). Give this a year or 2 to reach its best and give it a try with complex foods – sizzling Mongolian steak and special fried rice. This entry was posted in Mclaren Vale, wine and tagged Cabernet, Cabernet Sauvignon, Mclaren Vale, McLaren Vale Wine, Shiraz, Small Producer, tempranillo, wine, wine McLaren Vale. Bookmark the permalink.